Article III, Section 52 of the Constitution of Maryland establishes the respective powers of the Governor and the General Assembly in adopting the operating budget and provides a schedule for its submission and approval. Further law pertaining to the operating budget is set forth beginning in Section 7-101 of the State Finance and Procurement Article. Under the Constitution of Maryland, the Governor must submit a budget to the General Assembly on the third Wednesday in January (or by the tenth day of session in the first year of a term for a newly elected Governor). The budget consists of a detailed statement of revenues and intended spending and a bill making the appropriations proposed. The Governor must accept the proposed budgets for the Judicial and Legislative branches without revision. The budget must be balanced when submitted. In other words, the proposed appropriations must be supported by estimated revenues. After submission of the budget bill, the Governor may change proposed appropriations by submitting one or more supplemental budgets. Supplemental budgets also permit the Governor to correct errors and omissions in the original budget. Although customarily accepted, supplemental budgets may only be attached to the budget by consent of the legislature. Under the Constitution of Maryland, the budget bill is introduced in both chambers. By custom, the House and Senate move the bill in alternate years – the House moves the budget in odd numbered years, and the Senate moves the budget in even numbered years. In acting on the budget bill, the legislature may not amend the budget to increase the amounts allowed to units of the Executive Branch nor may it transfer funds from one unit to another. Funding may be increased for Legislative and Judicial Branch agencies, however. The legislature’s main power is to reduce or delete appropriations proposed in the budget bill. The legislature may add language to the budget bill making appropriations contingent or conditional, or restricting how funds may be spent. Such language has the force of law for one year, while that budget is in effect. Budget bill language may not change or conflict with existing State law. The legislature must complete action on the budget by the eighty-third day of session. Unlike other bills, the budget is enacted upon passage of the conference committee report by the two chambers; the Governor’s signature is not required, and the budget is not subject to veto. If the budget is not passed by the eight-third day, the Governor must issue a proclamation extending the session if a budget is not passed by the ninetieth day. At the end of the ninetieth day, all other legislation fails and only the budget can be considered during an extended session. In addition to budget action, the legislature may affect the level of State expenditures through two ways. First, the legislature may pass a supplementary appropriations bill, which raises a tax and directs its revenue to specified purposes. Supplementary appropriations may only be considered after enactment of the budget bill and, unlike the budget bill, a supplementary appropriation is subject to veto. Bond bills are also considered supplementary appropriations bills. The legislature can also pass legislation that mandates spending in future budgets, by adopting a bill that sets a dollar amount for a specified purpose or that establishes a formula that can be easily calculated. For example, many education aid programs for local jurisdictions are based on statutory formulas that provide an amount per student. Most of these formulas provide aid inversely to local wealth. Legislation to establish mandated appropriations are also subject to veto by the Governor. Although the State has a 12-month fiscal year, one entire cycle of a budget from initial formulation by the Governor to closeout takes about 29 months to complete. 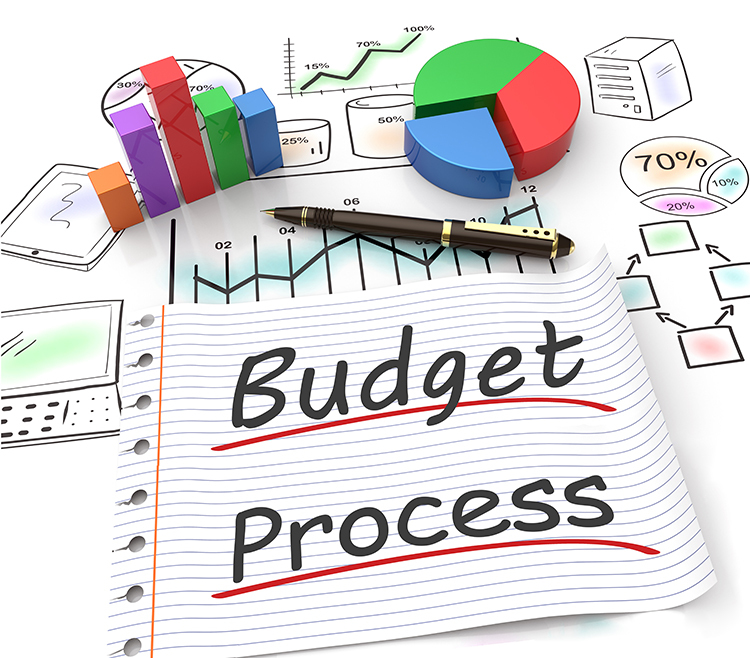 The formulation of a new budget commences during the spring of the previous year. In the 9 months preceding introduction, each agency receives instructions on how to request funds and how much to request, has its request reviewed by the Department of Budget and Management, and receives an allowance in the proposed budget bill reflecting the decisions by the Governor. Through its spending affordability process, the legislature offers input into the fiscal policy used by the Governor in preparing the allowance. Under this process, a statutory committee meets each fall to consider the condition of the economy and the State’s fiscal health and to recommend to the Governor the amount by which the State government shall be allowed to grow in the upcoming budget. In some years where general fund spending is projected to outpace general fund revenues, the committee has recommended amounts by which the structural deficit shall be reduced. By law, the Governor is not bound by the committee’s recommendations. However, if the proposed budget does not conform to the spending affordability recommendations, the Governor must explain why in the budget message. The General Assembly reviews the budget bill containing the Governor’s allowance during the 90-day legislative session. The bill (and any supplemental budgets) is referred to the budget committees of the respective chambers: the House Appropriations Committee and the Senate Budget and Taxation Committee. The committees separately but concurrently hold about six weeks of hearings on the budget. Hearings are focused on one or more agencies per day. At the hearings, the committees receive presentations on changes in funding and personnel, relevant policy issues, workload measures, and recommendations from the staff of the legislature’s Department of Legislative Services, Office of Policy Analysis. After the legislature’s analysts present their recommendations, the agencies are given the opportunity to brief the committees and respond to any issues raised or recommendations. Testimony from the public is sometimes received as well. At the conclusion of the hearings in the chamber moving the bill, the budget bill is reported to the floor and follows the course of other legislation. When the General Assembly approves the budget bill, the allowances contained therein become the legislative appropriation for the next fiscal year beginning on July 1 (or in the case of deficiency appropriations, immediately upon enactment of the bill). Spending for the new fiscal year occurs from July 1 to June 30. Agencies can increase special or federal fund appropriations by budget amendment, though proposed amendments in excess of $100,000 require review and comment by the budget committees. At the end of the fiscal year, agencies close out the budget by accounting for the disposition of its appropriations. Appropriations may be spent, encumbered pending the delivery of goods or services, or unspent. Unspent appropriations either revert to the General Fund or in the case of special or federal fund appropriations, are canceled and returned to the fund of origin for future appropriation.